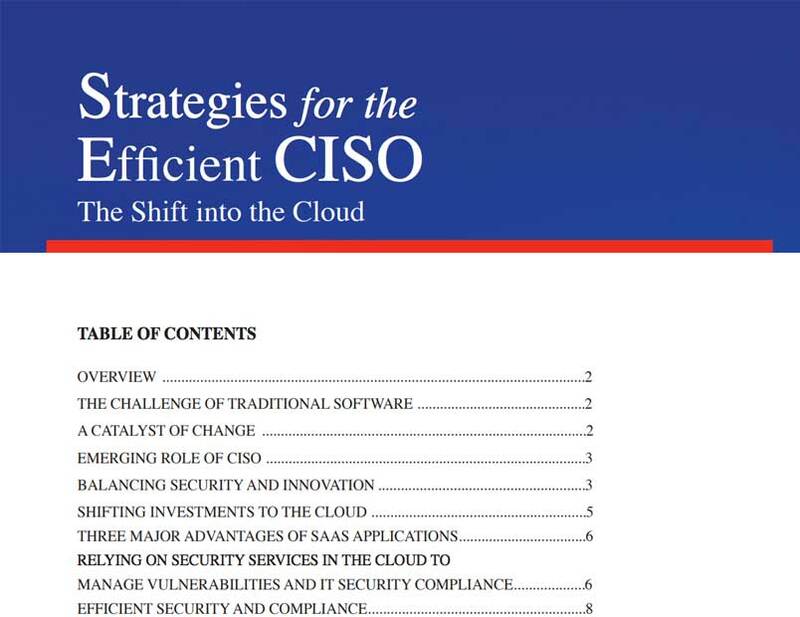 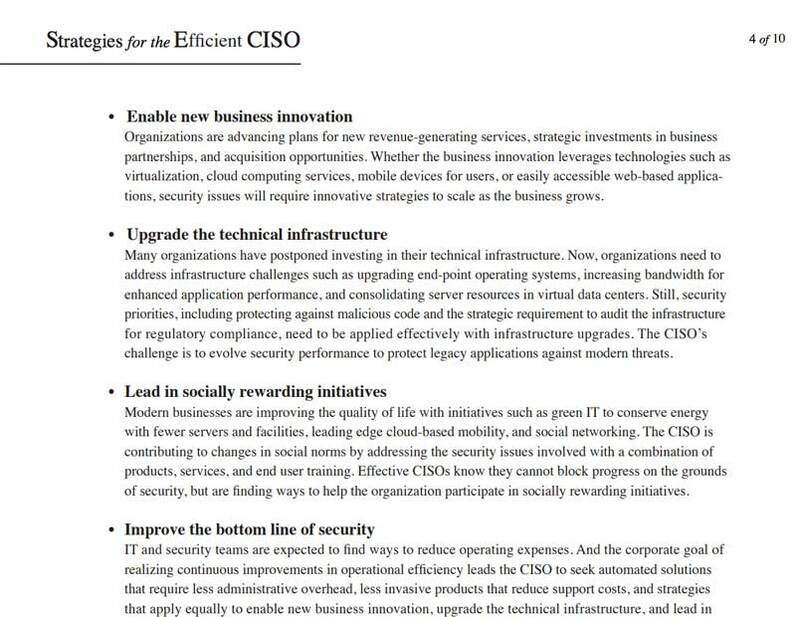 Free Whitepaper: Strategies for the Efficient CISO | Qualys, Inc. 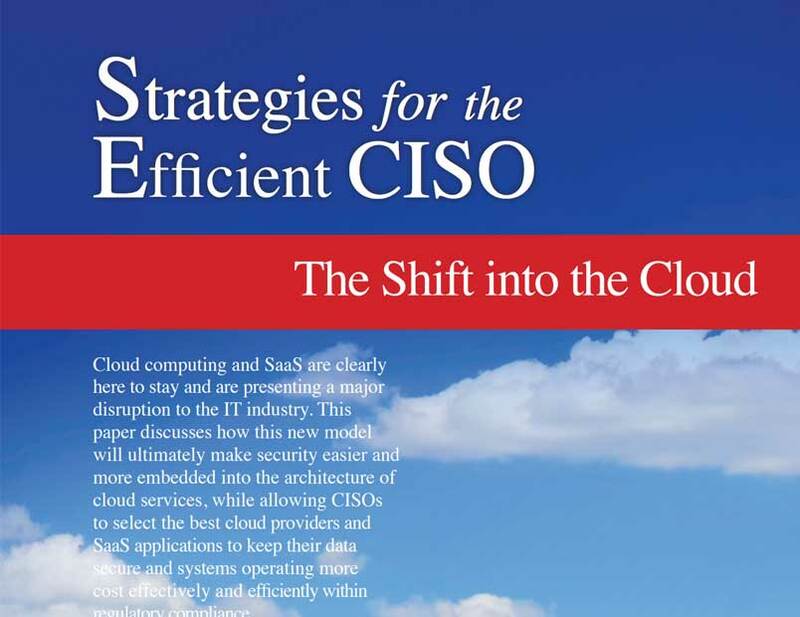 Cloud computing and SaaS are clearly here to stay and are presenting a major disruption to the IT industry. 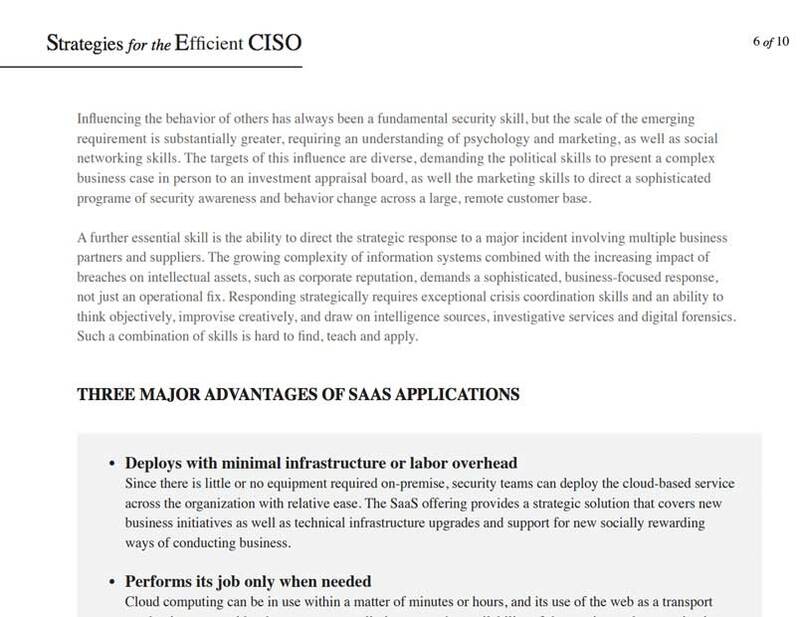 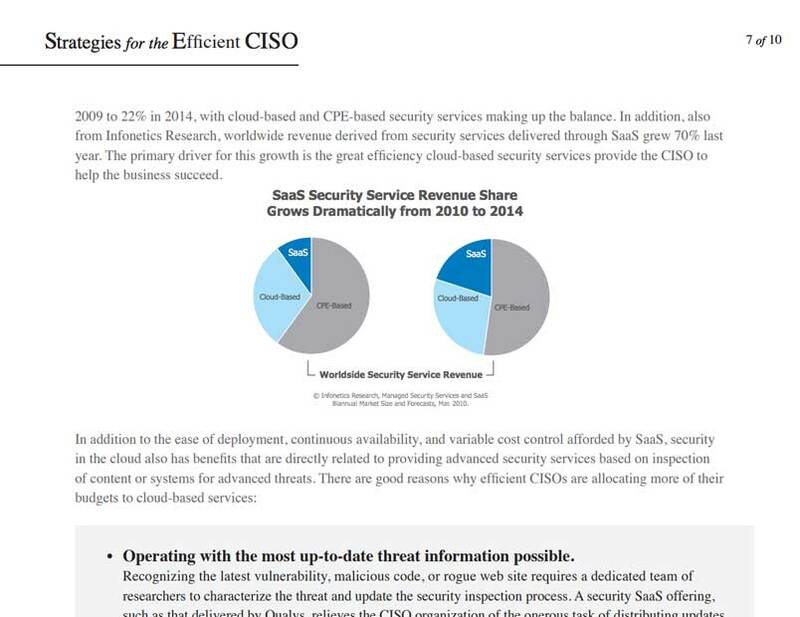 This paper discusses how this new model will ultimately make security easier and more embedded into the architecture of cloud services, while allowing CISOs to select the best cloud providers and SaaS applications to keep their data secure and systems operating more cost effectively and efficiently within regulatory compliance.